Our Snowboard Beginner/Learn to Ride Lessons in Val d’Isère are perfect for newbie boarders aged 8+. From which foot forward and how to set-up to mastering the falling leaf and carving, we’ll tighten up that technique and have you stomping across the valley like never before. Shredding Sunday or Monday through to Friday from 09:00 till 12:00, our morning sessions are taught in both English and French and in petite packs no larger than 8. Check your level, adjust those dates, then strap-in and jump on-board. Come on, let’s Learn to Ride with Oxygène. 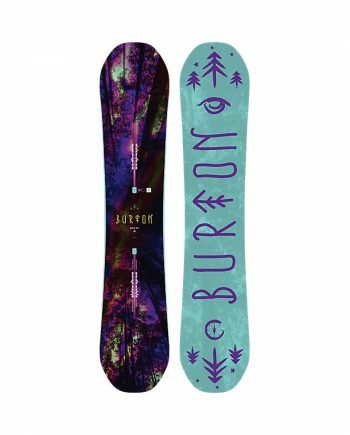 Top quality snowboard & boot rental for 6 days. Book now with your lesson and get a 20% discount on our in store price. We highly recommend everyone wears a helmet. Choose this option to insure your equipment against theft or damage. Standard price for 6 days. Our Snowboard Beginner Learn to Ride Lessons run Sunday or Monday through to Friday, 09:00 till 12:00. 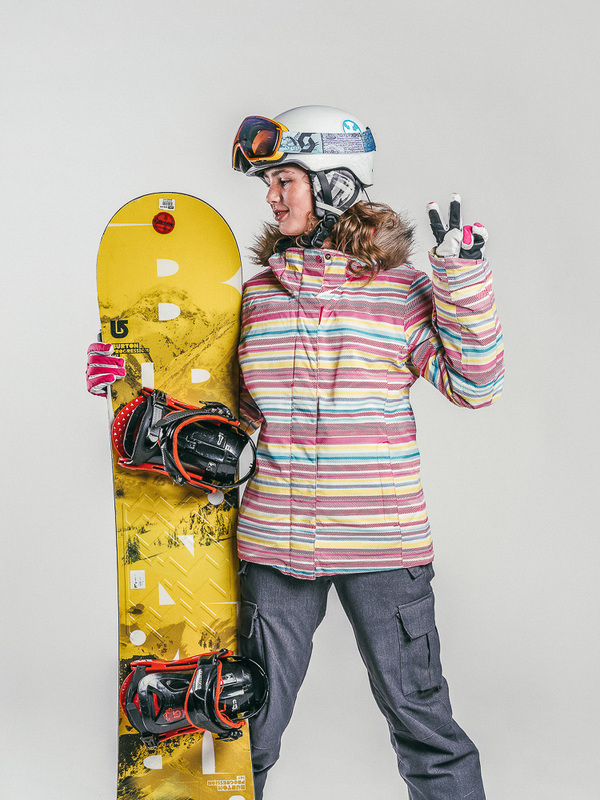 For big progression, we keep our Burton-affiliated snowboard groups small with 8 per instructor. Our snowboard group lessons help all those aged 8+ build confidence and technique on any slope or terrain. Morning group lessons start at 09.00 to 12.00 from Sunday or Monday through to Friday. No language barrier with Oxygène as all our instructors speak English. Our snowboard group sizes are small allowing for a more personal learning experience. 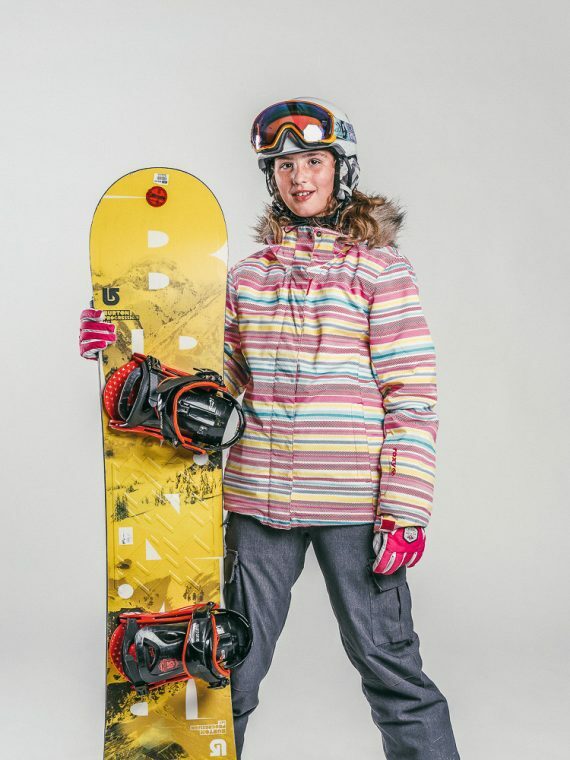 Children from 8 years old can join in on our snowboard groups in Val d’sère. Our lesson meeting point is easy to find on the snow front opposite the Bellevarde Express chair lift. You cannot miss our brightly coloured Oxygène level-flags and our wave of blue uniforms. Follow the link to find out how to make your way to our snowboard school meeting point! Find us ready, waiting and raring to go right on the snow front in between Val d’Isère’s Village and Bellevarde Express chair lifts, and opposite Bananas restaurant and bar. 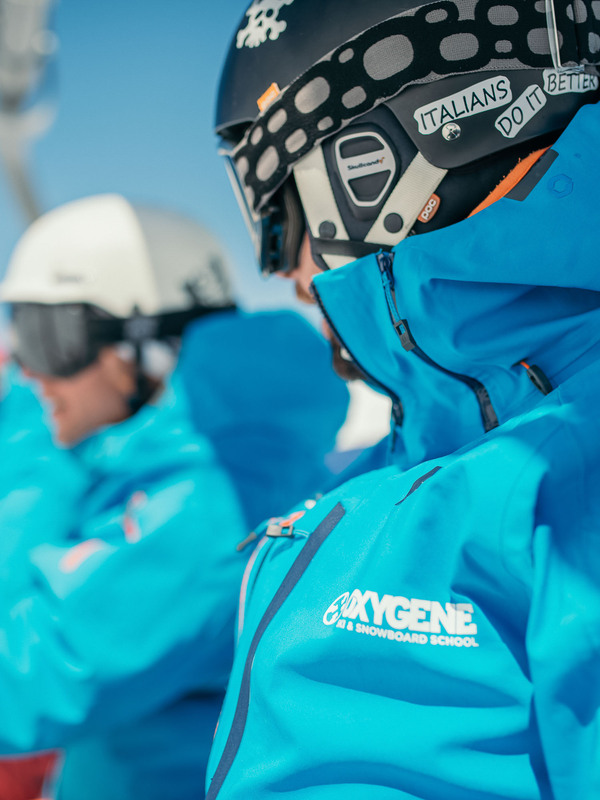 Look for our trademark bright blue Oxygène flags and friendly instructors… don’t worry, you won’t miss us. THE RIGHT LEVEL FOR YOU. Are you unsure about what level to book? You can find the right level via our Level Finder. Otherwise you can always contact us by phone or email and our friendly team will help you. Please note that we assess everyone on the first day and then throughout the week and we will move you according to your standard. From Learn to Ride (Beginners) and Intermediates to Confirmed and Expert, we like to make sure you’re always in the right class. Simply click on our handy Level Finder and select the best fit based on your previous boarding experience. Not sure? That’s okay; feel free to call or e-mail us to discuss further. And remember, our instructors review abilities during the first lesson and throughout the week so we can switch on the slopes if necessary. For anyone joining our Learn to Ride or Intermediate snowboard groups you can take advantage of our Snowboard Beginners Pack. This includes your weekly group lessons, a lift pass and optional equipment rental, all at a discount rate. Designed to fit perfectly with our Learn to Ride Lessons, our Snowboard Beginner Pack will help you save both time and money. 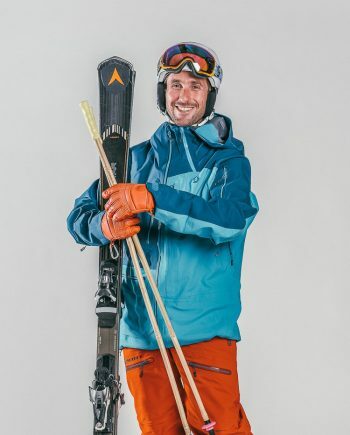 Slide straight on to the slopes and enjoy our top-of-the-class lessons with a discounted 6-day Val d’Isère lift pass and equipment-hire option all rolled into one. Start smart and do your homework. 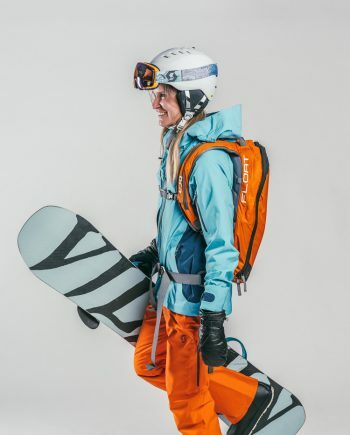 To find out what to expect from our Snowboard Beginner Learn to Ride Lessons in Val d’Isère – including insider tips and tricks on how to prep and what to wear – check out our extra info page. Linking turns on green and easy blue runs. Comfortable on red runs. Learning to ride switch. Discover black runs, freestyle, snowpark and powder snow. Expert snowboarder. 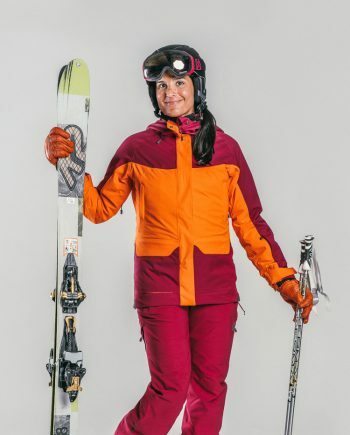 Weekly program: off-piste!